Watching news reports on TV about the San Bernardino shooting and reading the comments online, I see a worrisome trend in U.S. sentiments. After the Paris attacks by Muslim extremists, Charles M. Blow was moved to write an essay called "Anti-Muslim is Anti-American." I was moved to watch "Free Men." I am neither Christian nor Muslim and I have friends of both religions. My background is neither Christian nor Muslim. The only grandparent I knew was Japanese Buddhist, meaning Buddhism with a bit of Shinto. Even though I'm in the midst of watching movies for awards, I wanted to slow down and engage in online discourse. For a while I had been thinking that what the world needs is more movies about Muslims during World War II. What were Muslims doing during World War II? Because of this I chanced upon "Free Men." "Les hommes libres" was written and directed by Ismaël Ferroukhi, with Alain-Michel Blanc assisting on the screenplay. The 2011 movie won Best Director from the Arab World at the Abu Dhabi Film Festival for "excellent telling of an unknown and important story," according to IMDb. In the movie, Ferroukhi and Blanc fashion a story around two historical figures: a Muslim Si Kaddour Benghabrit (Michael Lonsdale) and Jewish Arab Salim Halali (Mahmoud Shalaby). Ben Ghabrit was the rector of the Great Mosque in Paris during World War II. 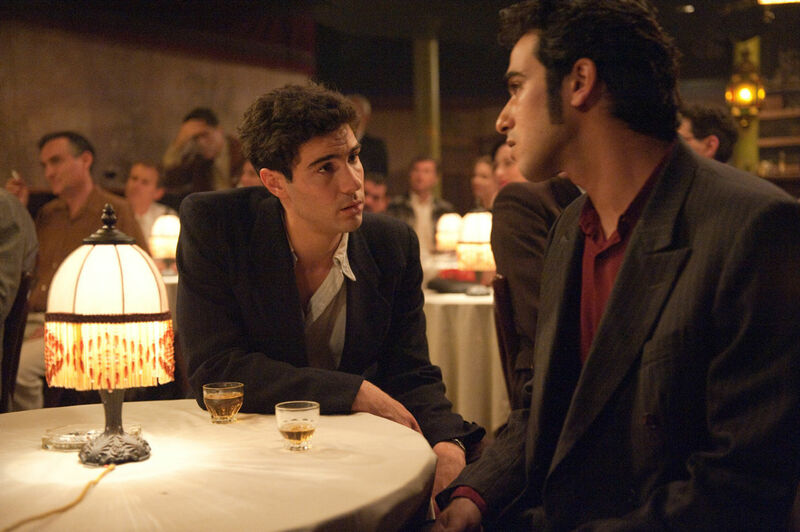 We see both Ben Ghabrit and Halali through the eyes of an out-of-work Algerian Younes Ben Daoud (Tahar Rahim) who is making a living by selling things on the black market. When he is arrested by the authorities, he agrees under pressure to spy on the Great Mosque because the rector, Benghabrit, is suspected of helping Jews and the resistance movement. At the mosque, Younes meets Halali. Younes is moved by Halali's singing and they become good friends. During this time, Halali is picked up by the Germans who ask him for proof that he is Muslim. They take him to a graveyard to find his father's grave. The rector has had Halali's father's name inscribed on the gravestone of an unknown Muslim man. Younes does eventually see European Jews under the protection of Benghabrit and he falls in with Algerians who are not only part of the French Resistance, but preparing to end the French rule over Algeria. As Younes, Rahim is at first the kind of guy you avoid, self-centered and lacking a moral center, but Rahim shows his transition through a glance and small nuances. Lonsdale, who was born in Paris and actually was in Morocco during World War II, brings a pensive gravity to his role as the rector. 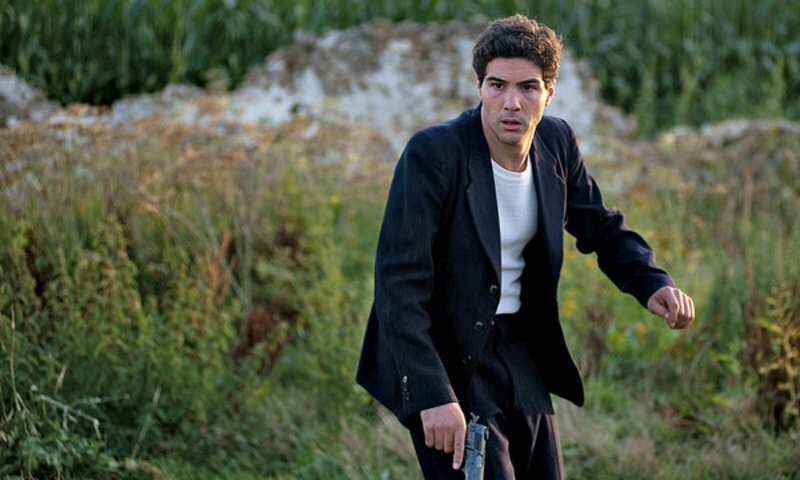 He won a Best Supporting Actor César for his role in "Of Gods and Men" ("Des hommes et des dieux"), a 2010 French movie about Trappist monks taken hostage and murdered during the 1996 Algerian Civil War. 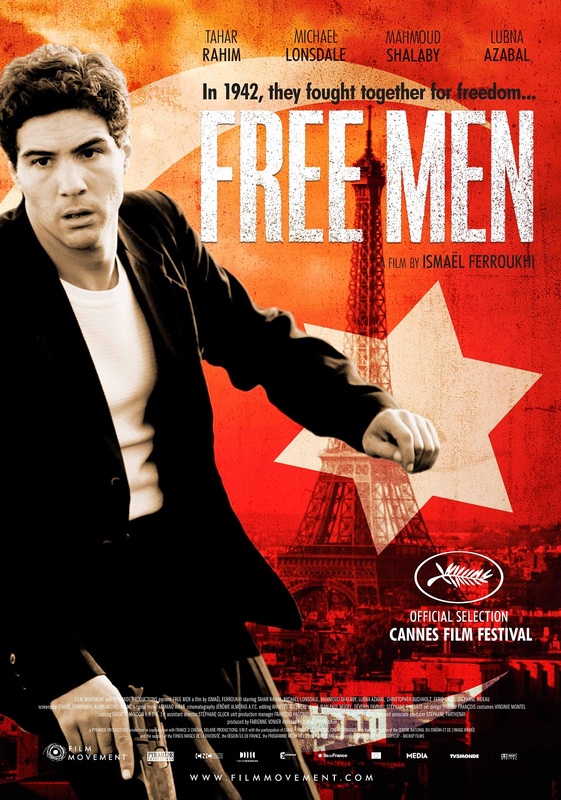 Both "Free Men" and "Of Gods and Men" were official selections for the Cannes Film Festival during their respective years. "Free Men" is a low-key production that focuses on the feelings of alienation and patriotism. As an Algerian, Younes is alienated from both the French and the Germans. They are both foreign forces and he is emotionally removed from both. Through faith and friendship, Younes finds meaning in his life and his Muslim faith renewed; he finds some respect for France while seeing hope in the possible independence for Algeria. Historically, Halali was an Algerian who became a famous singer of Andalusian music and Algerian music. He had only arrived in France in 1937 and was already successful by the time of the German occupation, singing in French flamenco clubs and teaming up with music hall artist Mohamed el Kamel. He created two successful cabarets in Paris after World War II, but moved to Morocco in 1949 to create a cabaret there. He returned to France in the 1960s, where he died in 2005. Muslims have been in France for centuries. A Muslim army was defeated in the Battle of Tours in 732, spilling over from the invasion of Spain. France's Muslim population is as much as 10 percent and represents the largest Muslim population in Europe according to the BBC. Muslims have also been in the Americas for a long time. The first came with the Spanish as slaves, some claim. There were Muslims who served in the American Revolutionary War, according to the Washington Post. The first wave of Muslim immigration was as a part of the slaves from Africa, an estimated 10-15 percent of the enslaved. Many were forced to convert to Christianity although PBS History Detectives notes that a small group in Georgia kept their Muslim faith alive and eventually took it North in the Great Migration of blacks. While people have quoted statistics about sharia law from the Pew Research Center, they miss the point that from nation to nation the definition of sharia law differs. What is sharia law sets Muslims against other Muslims and is the source of some terrorist conflict, something illustrated in the 2015 movie "He Named Me Malala." Moreoever, Feisal Abdul Rauf, the founder of the Cordoba Initiative, wrote in his opinion piece "Five Myths about Muslims" that "the U.S. Constitution is in line with the objectives and ideals of sharia." He also noted a 2009 Gallup study found that Muslim American women are more educated than Muslim women in Western Europe and the average American. There is a problem of terrorism by Muslim extremists. There is also a problem with Christian extremists in the U.S. and the world. That isn't reason enough to fear all Muslims or Christians. There was once a great fear of Buddhism. Kaiser Wilhelm II coined the term Yellow Perilism in 1895. He saw Buddha riding a dragon as a threat to Christian Europe. Yellow Perilism was apparent in the U.S. through immigration exclusion acts, first targeting Chinese immigration. Other exclusion acts expanded to include other Asians. Those were steps down the slippery slope of prejudice. Now, in the wake of the Paris terrorist attacks and the shooting in San Bernardino, I hear calls for registration of Muslims in the U.S., rounding up Muslims into internment camps and sending Muslims our of the country. Asian-Americans should see the parallels between Yellow Perilism and Islamophobia. "Free Man" gives us the question of free will and who is really free. The French were not free during the German Occupation, but the Algerians were not free under French Occupation. It reminds us that Muslims are part of France and European culture and that the greatest act of faith and friendship is reaching across the boundaries of religion and nationality to support liberty, equality and brotherhood for all people in France and other places. In the U.S., we should remember that Muslims along with other non-Christians helped build this country. For these reasons, "Free Men" is an important movie to contemplate in today's atmosphere of Islamophobia. "Free Men" is currently available on Amazon Video.